An estimated 30 to 45 percent of indirect purchasing in organizations is considered “maverick,” or not contracted. When purchasers circumvent standard (and complex) requisition procedures, your organization misses out on preferred pricing and terms and ends up paying an average of 35 percent more than agreement pricing. How do you rein in this uncontrolled spending? 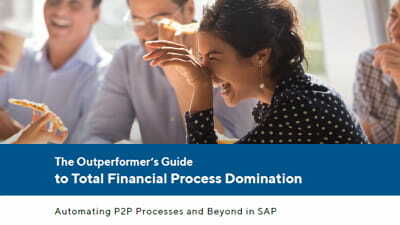 Implement a universal purchase requisition process that you can see and control inside SAP. ReadSoft Process Director™ automates purchase requisition processing in SAP, providing purchasing departments with the controls to ensure that all purchases are pre-approved internally. Control the collection of all of your company’s requisitions and bring the time-saving benefits of automation to infrequent purchasers and SAP users alike. With ReadSoft Process Director, every approved user in the business has access to an easy-to-use web form for requisitioning. Take maverick spending out of the equation with a standardized requisition management process, as well as an automated workflow for purchase approval and cost allocation. The automated process also affords a better basis for price, conditions and terms negotiations, and reduces costs for purchasing, logistics, and accounting. Get immediate visibility into all purchase requests as they move through the procurement process. At the same time, establish an audit trail for meeting business-critical compliance requirements and regulations. ReadSoft Process Director is highly configurable, so you can enhance your existing workflows. It works seamlessly inside your SAP system and offers easy access for users outside of SAP through a simple web interface, as well as automatic validation against SAP master data, transactional data and configuration settings. The perks of purchase requisition automation don’t stop with the initial purchasing process. By enabling automatic comparisons in subsequent processes of purchasing documents to order confirmations, delivery notes and invoices as they are processed, the overall purchase-to-pay process is improved.